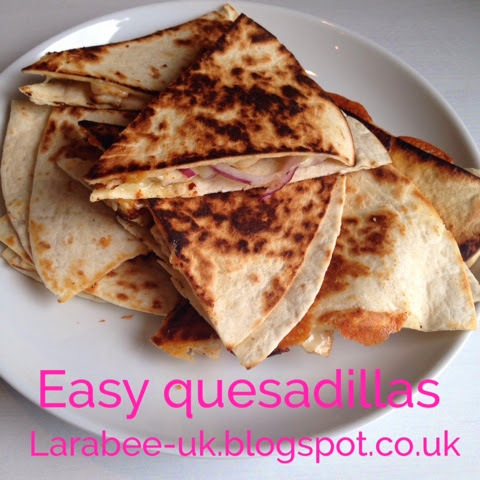 Lovely, tasty and super quick! It's not really a recipe, just a quick 'how to' with a few filling ideas! 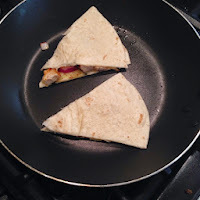 Start with your tortilla wrap, sprinkle with a bit of cheese and your chosen filling (ideas below) sprinkle a bit more cheese on top and then using a pizza cutter cut into slices. 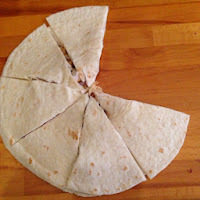 In a hot frying pan, fry a couple of quesadillas at a time turning after a couple of minutes, the cheese should melt and the tortilla should start to brown. If you have a large enough frying pan skip step 1 and fry the whole tortilla and cut once cooked!